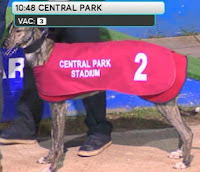 A prize-winning greyhound failed a drug test for cocaine. Tristar was found to have taken a “clinically significant” amount after running a 480-metre track in under 30 seconds. Trainer William Rae, 70, told a disciplinary hearing his dog had been patted by someone who looked like a drug user. Tristar has since been sold — and won for his new owner.